I also am using the preview before submit widget and when I hit the back button it just takes me back to the preview answers screen....therefore I can not edit any answers. Is there a way to put the preview answers button on my last page instead of it on its own page?? Or for there to be a back button on the preview answers page as well? The problem is that the Preview Before Submit widget is forwarding you back to the last page, but there is no Page Break with a Back button on it. 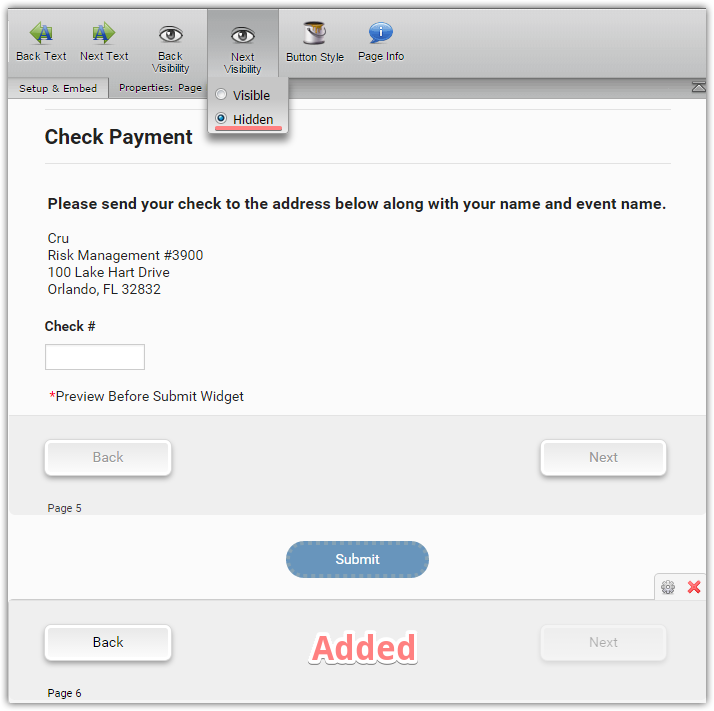 In order to solve this, you can add an additional Page break with a hidden Next button. 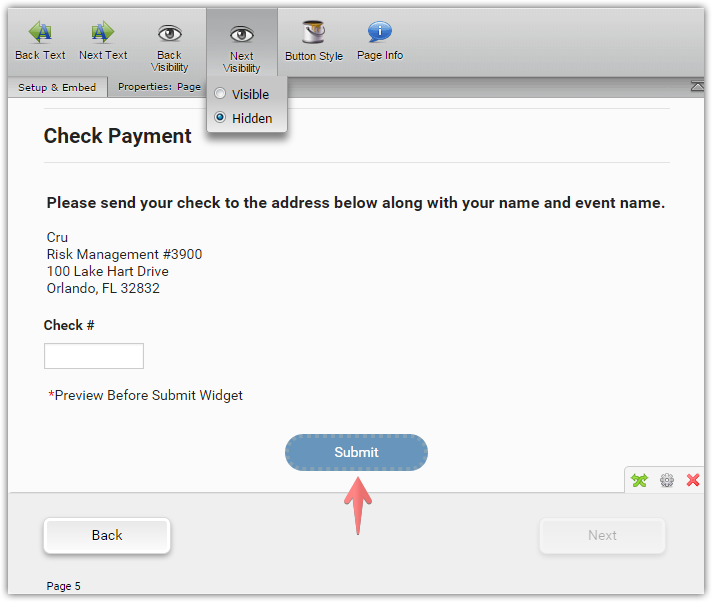 Or alternatively, move the Submit button to the Page #4.